WILMINGTON, N.C. – Cape Fear Museum of History and Science is pleased to welcome Kate Baillon as its manager of collections and exhibits. 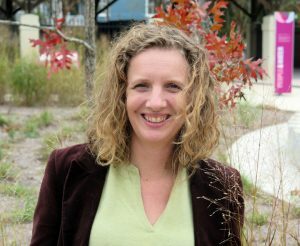 Baillon, who relocated to Wilmington from Charlotte, N.C., has more than 15 years of experience in strategic planning, community engagement and creative design. She earned a bachelor’s degree in marketing management and business management from Gloucestershire University in Cheltenham, UK, a graduate certificate in nonprofit management from the University of North Carolina Charlotte and a master’s degree in arts administration from University of North Carolina Charlotte. Baillon has held a variety of positions, most recently, the vice president of exhibits at Levine Museum of the New South in Charlotte, N.C. where she managed the exhibitions and collections department, created community partnerships and acquired grant funding to underwrite exhibits. In her new role at Cape Fear Museum, Baillon will supervise the collections and exhibits units, oversee the exhibition planning process, solicit grant funding and help build, enhance and expand the Museum’s collection. She will also work with donors, scholars, and colleagues to develop and foster partnerships to promote research, understanding and use of the Museum’s resources. Baillon is most excited about familiarizing herself with the Museum’s collection, getting to know the staff and community and helping to connect people to the history and science of this area in engaging and innovative ways. “I’m presently enjoying getting to know people and hearing about their personal connections to the area and how much it has changed and is continuing to change,” she says.